Last edited by bitkahuna; 01-10-19 at 08:56 AM. Probably can't argue with that. Although I'm not sure it's worth twice what a Miata cost, the last time I reviewed a Boxster (which was some years ago), I thought it was one of the slickest and most refined roadsters I had ever sampled....a joy to drive on a winding road. I generally don't care for Porsche dealerships, though......though there are exceptions and some nice people here and there, in general, they are too snooty, too expensive on parts/labor if the vehicle is out of warranty, and, in general, can be a rip-off. Winning co. and winning products. Even with leasing they are still out of the grasp of the majority of folks. Work harder and smarter! Driving their products in a lead/follow exercise is one of my favorite mfg. sponsored car events of all time. That's interesting. I owned a new Porsche when I was 19 y.o., and haven't since. But the local dealership has invited me to so many dealer and corp. events over the last 10 years, without a single purchase, nor any mention of one. I do know what you mean by snooty. BMW is exactly that. Lexus is never that. GMC is the absolute worst!! That's interesting. I owned a new Porsche when I was 19 y.o., and haven't since. It took you that long to pay it off? (Just kidding). But the local dealership has invited me to so many dealer and corp. events over the last 10 years, without a single purchase, nor any mention of one. I do know what you mean by snooty. BMW is exactly that. Lexus is never that. GMC is the absolute worst!! Yes, some BMW shops are like that. But it's also reflective of older times, when BMWs had little if any competition as the Ultimate Driving Machine. Today, that's not so much the case. First, there is more competition, and, second, today, BMWs aren't quite the UDM's they once were. That's par for the course. I've had a different experience at two BMW dealerships. In recent years I've purchased three BMW's, my first for the brand, and in each case it was generally relaxed and pretty laid back. 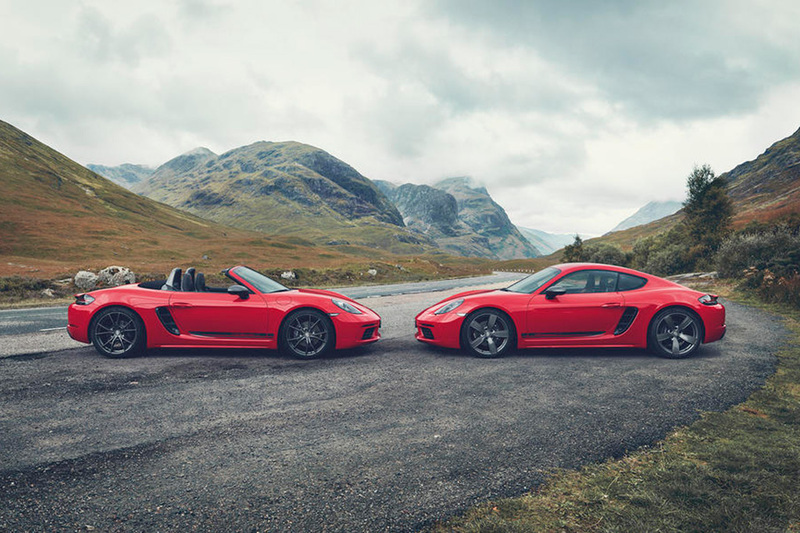 Test-drive a Boxster, and you just might change your mind.